For many, being fatigued and run down is a way of life. In fact, about half of doctor visits involve patients complaining about constant fatigue. Not just occasionally, but all the time. Among the possible reasons are stress, poor diet, and lack of adequate sleep,. There could be an underlying health problem, like anemia, depression, diabetes, low thyroid function, and cancer. For many, grounding may be a surprising remedy. Like charging a failing or weak battery. Research over the last fifteen years (www.earthinginstitute.net/research) clearly demonstrates that the physiology works much better when we are grounded. The findings indicate that our physiology works worse when we are not, and suggests that lack of grounding represents an overlooked cause of rampant inflammation, pain, poor sleep, and common fatigue. Tracy Latz, M.D., a psychiatrist in Mooresville, North Carolina, near Charlotte, uses grounding routinely in her practice as part of an integrated approach to healing. “Patients who follow my recommendation to ground themselves, and there have been many dozens of them, tend to have good responses,” she says. “They are individuals with a wide variety of emotional, mental, and physical problems, and often combinations of problems. They often tell me afterward they feel much better. “One of the first things they say is that they sleep so much better at night. This is a big deal for many of my patients. Energy levels improve. You can read Dr. Latz’s clinical experience with grounding here. Grounding has the potential to impact these and many other symptoms because of its holistic effect on the body (www.earthinginstitute.net/what-is-earthing). Among other things, it stabilizes the nervous system, tamping down the stress-related sympathetic mechanics of the system and promoting the calming parasympathetic mode. Grounding also allows you to receive an influx of antioxidant electrons from the Earth’s virtually unlimited storehouse of electrons that give the planet its negative charge. In your body, we believe these electrons reduce damaging free radical activity involved in inflammation, pain, and disease. They also promote better blood flow. And they likely also reinforce the production of cellular energy – that utilize electrons in the process. • From a woman in New Jersey: “I suffer from adrenal fatigue which is basically not having enough energy to do even daily tasks. The first thing I noticed using the grounding mat is that I had more energy the next day. For about 20 days I used it in my bed under my legs. Now, five months later, I use it at the computer, and sleep with a grounding sheet. “I wake up more refreshed now where before I used to wake up feeling like the sleep didn’t refresh me, like I still felt fatigued. I also found that it’s easier to stay asleep when grounded (insomniacs take note!). This energy has helped to be more positive every day; it helps me to do more of my everyday tasks and more easily. Seriously, I feel like I have a new life. • From the manager of a California skin care center: “For years I used to work 10-plus hours a day, doing multiple facials, hydrafacials, and acne treatments. Over time, I started having problems with my hands. I was diagnosed with carpal tunnel but didn’t want surgery. I would also wake up with hands temporarily curled and stiff, and also feet very stiff. At the end of the workday I would be pretty exhausted. My hands felt worn out and sore, and the same with my neck from constantly bending down over clients. The demands of the work and the years had caught up with me. It was getting too much for me, especially facials that require more massaging. My hands hurt too much. I had to cut back on clients. “In late 2015, I started using a grounding pad at work, and then at work as well. I noticed my hands and feet gradually becoming less stiff in the mornings. After 2 ½ months my hands improved about 80 percent. I was working a lot easier and, after a while, with no pain. I have much more energy now, and am not as tired as before. I can do selected facials again, spaced out, without getting the typical tingling and fatigue in the fingers from the massaging. And I am sleeping better than ever. “Clients say their treatments, particularly the facials, are different. They feel more energy. One told me, amazed, that her back pain improved. 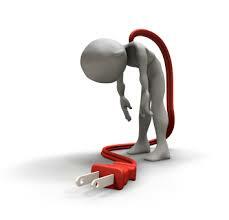 For fibromyalgia, a painful condition that typically involves chronic fatigue, grounding can make a huge difference. Click here to read an article on fibromyalgia and grounding. Collatz A, et al. A systematic review of drug therapies for chronic fatigue syndrome/myalgic encephalomyelitis. Clinical Therapies, 2016: 38(6), 263-71.